From Where Does the Name “Cutty Sark Scotch Whisky” Come? Other stories say that Berry Bros. & Rudd, Ltd. opened Berry’s Coffee Mill at No. 3 James Street in London, England. Patrons such as Beau Brummel, Napoleon III, and Lord Byron drank the fine Scotch whisky served there. At the times, it was simply called Berry Bros. Scotch Whisky. However, in the 1870s, an unknown participant at a luncheon in the Old Establishment make the suggestion for a more distinctive name. One of the guests at the luncheon won a heavy purse on a race among clipper ships set to deliver tea to London. This was not a one time race, but one which occurred regularly among the ships bringing the season’s first cargo of tea to London’s docks. The Cutty Sark won that particular match, and thus the name. An artist in attendance took a sheet of yellow paper from his waistcoat and drew the image still used today. Meanwhile, The Whisky Exchange says, “The partners had invited James McBey, a well known Scottish artist, to a luncheon that day to discuss the launch. It was he who suggested the name and designed the label for the new whisky. The whisky is named after the 19th century tea clipper, which was the fastest sailing ship of her day. There are similarities in the stories and some distinct differences. The name is the stuff of which great tales are made. This entry was posted in British history, Great Britain, Living in the Regency, real life tales, Regency era, Scotland, Victorian era and tagged Berry Bros & Rudd., Cutty Sark, James McBey, Robert Burns, whisky. Bookmark the permalink. 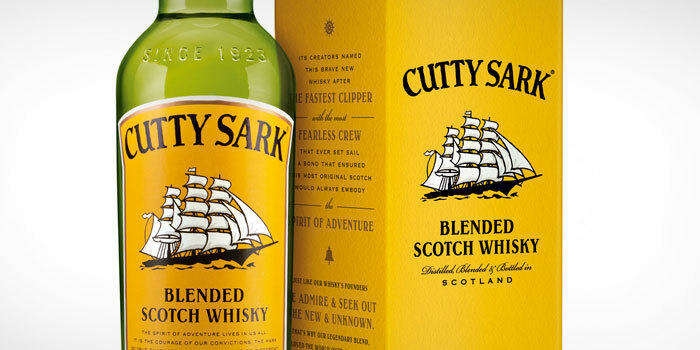 4 Responses to From Where Does the Name “Cutty Sark Scotch Whisky” Come? I saw Cutty Sark when I was at Greenwich in the late 80’s and was overwhelmed. Very impressive. I was really sad when the fires broke out, but it’s good the damage was much less than originally estimated. We had a beautiful day, and the park is huge and was very green. Besides Cutty Sark, the Prime Meridian and the drop of the time ball, the Maritime Museum had a special exhibition on the Spanish Armada. The Docklands Light Rail service had just been completed, so we took a boat there, and the tunnel under the Thames to the train to return. I find myself quite envious, Suzan.